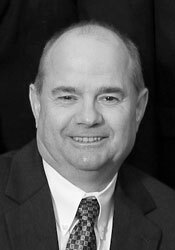 Dr. Kevin J. Handerhan has over 25 years of experience working with multi-generational family controlled manufacturing businesses on matters related to operations improvement, capital investment, and acquisitions. Dr. Kevin Handerhan is a Senior Managing Director with HWSC. Dr. Handerhan specializes in working with manufacturing companies to improve their business results and financial performance through operations enhancement, evaluation and prioritization of capital investments, and strategic acquisitions and divestitures. He has substantial C-Level and Board leadership experience, organizational development experience, and has served as a teacher and mentor of business leaders. He works primarily with businesses involved in specialty metals processing and engineered products. On matters related to operations improvement, Dr. Handerhan is a Theory of Constraints practitioner with deep experience in analyzing complex manufacturing operations in order to drive continuous improvement efforts, capture and disperse synergies, and to best analyze and prioritize capital investments. He is also an expert on using LEAN techniques as tools to improve flow of value-added dollars through constraints, and the related FP&A required for modeling repeatable success. Dr. Handerhan has published more than 20 technical articles. Dr. Handerhan’s experience also extends to the acquisition, improvement, or divestiture of strategic business units. He has experience with both domestic and international acquisition and divestiture transactions, and also with substantial industrial joint ventures. He has assessed in excess of 100 possible acquisitions, and acquired ten businesses which included ones that were family controlled, owned by private equity firms, and others through bankruptcy proceedings with subsequent operations transformations. Prior to beginning his consulting career, Dr. Handerhan held the position of Chief Operating Officer for Ellwood Group, Inc. (EGI) from 2012 to 2015. EGI is a multi-generational, family controlled specialty metals producer with over 2,300 employees, which is headquartered in Ellwood City, Pennsylvania. He was responsible for all profit and loss activities of all EGI divisions. During his career at EGI, the business grew more than 2500%. Prior to being the Chief Operating Officer for EGI, between the years 1982 to 2012, Dr. Handerhan worked in various technical and operating roles within the steelmaking, casting, open die and closed die forging businesses that belong to EGI. He received his B.S., M.E. and Ph.D. degrees from Carnegie Mellon University in Metallurgical Engineering and Materials Science. He has been affiliated with numerous professional organizations including American Society of Metals; Society of Manufacturing Engineers; Forging Industry Association, Board of Directors; Forging Industry Educational and Research Foundation, Board of Directors; International Forgemasters, Steering Committee, Chairman. Dr. Handerhan lives with his wife, Kathleen, in Cranberry Township, Pennsylvania and is the proud father of three sons.